we are pleased to inform you that we finally have the big update for our great project theme released. It has a new layout, and more modern looks. Also we have improved a bit each and every aspect of the theme, from frontend to backend. Also for the next months we are planning to add some huge front end improvements, like a very complete search feature and more. 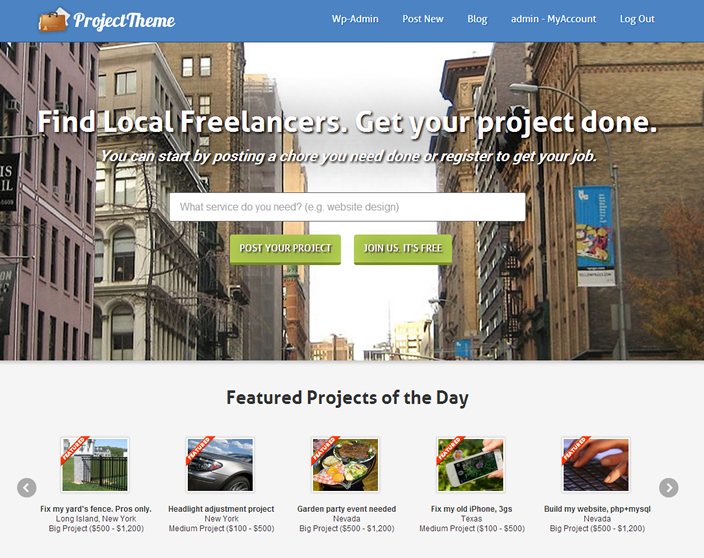 This entry was posted in ProjectTheme and tagged elance, freelancer, guru, new, new layout. Bookmark the permalink.